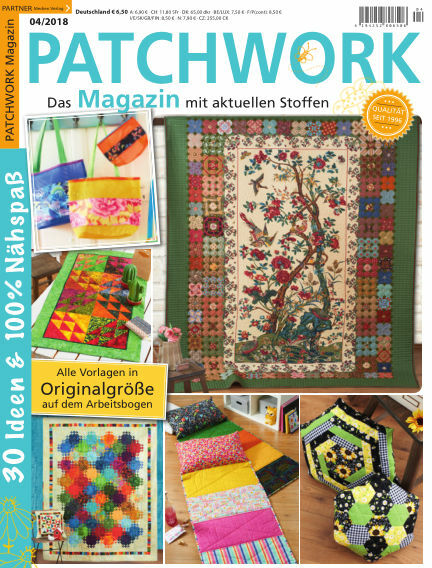 In this issue of Patchwork Magazin : Seit über 20 Jahren finden Sie alles Wissenswerte rund um das Thema Patchwork und Quilten im Patchwork Magazin, das 6x im Jahr erscheint. With Readly you can read Patchwork Magazin (issue 04/2018) and thousands of other magazines on your tablet and smartphone. Get access to all with just one subscription. New releases and back issues – all included.